Intrusion detection systems, next generation firewalls, insider threat management solutions and data encryption will all help healthcare organizations minimize risk, prevent security breaches, and detect attacks promptly when they do occur. However, it is important not to forget the security basics. The Office for Civil Rights Breach portal is littered with examples of HIPAA data breaches that have been caused by the simplest of errors and security mistakes. Strong security must start with the basics, as has recently been explained by the FTC in a series of blog posts. The blog posts are intended to help businesses improve data security, prevent data breaches and avoid regulatory fines. While the blog posts are not specifically aimed at healthcare organizations, the information covered is relevant to organizations of all sizes in all industry sectors. The blog posts are particularly relevant for small to medium sized healthcare organizations that are finding data security something of a challenge. The blog posts are an ideal starting point to ensure all the security basics are covered. They cover 10 basic security principles the FTC looks at when investigating complaint and data breaches. The blog posts use examples from FTC cases and 60+ complaints and orders, including settlements reached with organizations that have failed to implement appropriate security controls. The FTC has also listened to the challenges faced by businesses when attempting to secure sensitive information and offers practical tips to address those challenges. While the FTC has taken action against organizations, in the majority of cases investigations have been closed without any further action necessary. Companies may have experienced data breaches, yet they got the basics right and had implemented reasonable data security controls. They may not have been enough to prevent cyberattacks and other security incidents, but they were sufficient to avoid a financial penalty. The same applies to Office for Civil Rights investigations into HIPAA data breaches. OCR investigates all breaches of more than 500 records, yet only a very small percentage of the 2,000+ data breaches reported to OCR have resulted in a financial penalty. If you want to avoid a FTC or HIPAA fine, it is essential to get the basics right. Getting the basics wrong can prove very costly indeed. Control access to data sensibly. Require secure passwords and authentication. 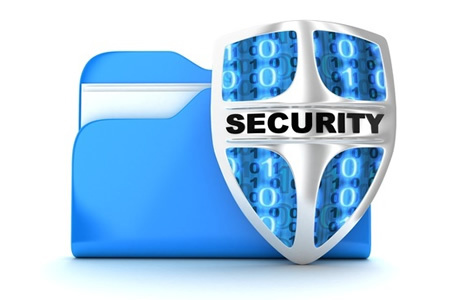 Store sensitive personal information securely and protect it during transmission. Segment your network and monitor who’s trying to get in and out. Secure remote access to your network. Apply sound security practices when developing new products. Make sure your service providers implement reasonable security measures. Put procedures in place to keep your security current and address vulnerabilities that may arise. Secure paper, physical media, and devices. The blog posts have been combined into the FTC’s Start with Security brochure, which is a “nuts-and-bolts brochure that distills the lessons learned from FTC cases down to 10 manageable fundamentals applicable to companies of any size.” The blog posts and brochure can be viewed on this link. HIPAA-covered entities should also sign up with OCRs cybersecurity newsletter, which details new threats and further steps that covered entities should take to improve security and keep ePHI secure. To sign up for the newsletter, visit this link and be sure to check out the Security Rule guidance material published by HHS.